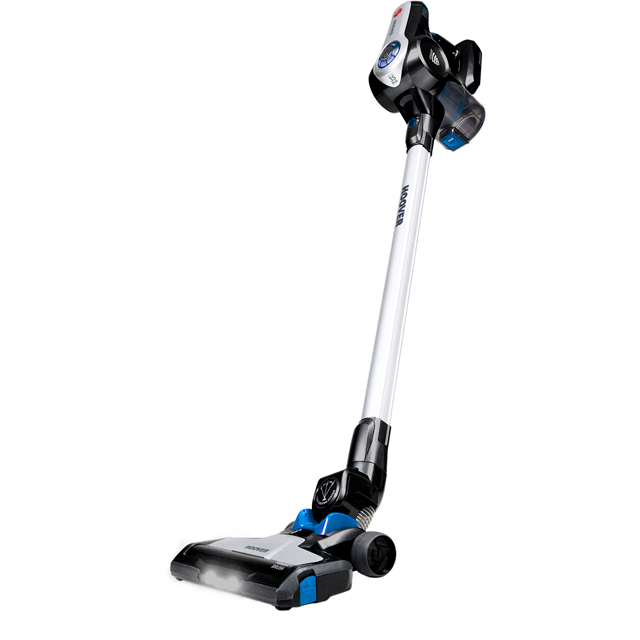 Clean your floors with ease thanks to this cordless vacuum cleaner from Hoover. With up to 35 minutes run time from a single charge, you’ll be able to get round every room in the house effortlessly. For areas in need of a little more TLC, there’s a useful button that gives a boost of suction, to really give those dust bunnies a run for their money. The handheld option and convenient tool are perfect for reaching those tricky corners and crevices, meaning the vacuuming doesn’t have to stop at floor-level. A handy indicator shows you when the battery is running low too, so you’ll never run out of charge unexpectedly. Light , unbelievably quiet vacuum with brilliant charge time to finish the whole house in one , very good price. I Love my new cordless hoover should have got rid of the flex years ago.Cordless gets the Hoovering finished quicker.AO service and delivery was efficient. I have found the hoover a very useful second vacuum. I have three children aged four, two and one so they make a colossal mess of the kitchen floor on a daily basis. I have found the hoover very good at cleaning this up on our laminate floor and also for cleaning the rug in the playroom. It is not however a substitute for a conventional hoover and wouldn't manage to do our whole house. I love this wet dry vacuum, it washes the floor as well as cleaning, but it’s also a lot better than most steam cleaners as it picks up most of the water.